The Flaming Star Nebula (IC 405) is on the right. The bright star in the magenta section of IC 405 is AE Auriga. IC 410 is the nebula at lower center. 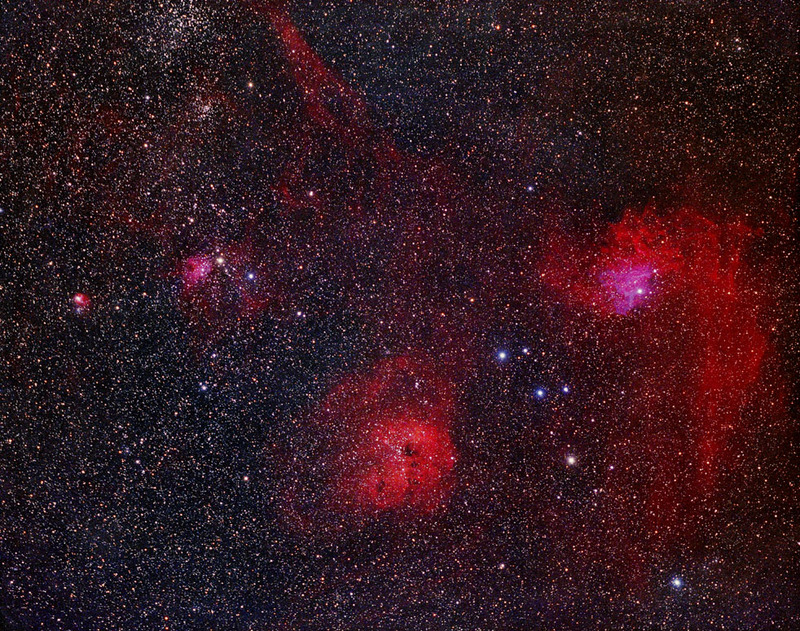 The magenta nebula at left is IC 417. The small red nebula at left is NGC 1931 . The clusters at left top are M38 and NGC 1907. For uncurved image click here.